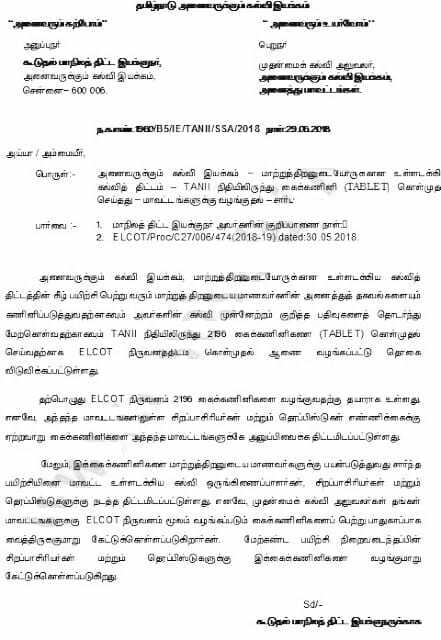 Home செயல்முறைகள் 2196 Tablet Computers Ready To Serve – ELCOT!!! 2196 Tablet Computers Ready To Serve – ELCOT! Previous article7th Std – English – The Neem Tree ( Unit 2 Prose ) – Video Lesson!!! Next articleஆசிரியர்களுக்கு தமிழ் பயிற்சி வகுப்பு!! !